Write Ray! : What's With Alberta's Bill 6? I have yet to meet a farmer or rancher that is not concerned about the safety of their family, employees, visitors, and animals on their properties. Therefore, I've been very surprised at the Notley Government's heavy handed reaction in creating a Bill, Bill 6, to legislate safety and labour protocols on the farm. The Bill will become law in the New Year. Agriculturalists are concerned over the ramifications of the law which MAY legislate working hours, family jobs, children on the farm and liabilities when neighbours help neighbours. Nobody is really sure what will be affected or how! The Alberta Government says "Don't worry, if there's some glitches, we'll fix them, no problem!" I think the farmers and ranchers are having trouble believing that. I married into a farm family. My wife's family were grain farmers in Southern Alberta. Every spring they would go almost 24 hours a day getting the crop in after the thaw and between rains The goal was always to be finished by June 1. In the fall the work hours skyrocketed again as harvest consumed everyone on the farm. If someone got behind because of illness or a major breakdown, neighbours would come in and finish for them. By the time the harvest was in the bins, everyone was very tired but very happy. Neighbours with livestock worked 365 days a year. Dairy farmers have two milkings a day, everyday, which had to done, no choice. I remember the kids cleaning out bins, running the loaders, driving trucks, hauling bales, doing yard chores while the dads and grandfathers were in the fields. The kitchen was always busy getting food ready. How will Bill 6 affect that whole way of life? Who knows? The government did little to get input from farmers and ranchers before hammering down this bill. Now it appears that they are refusing to listen to the concerns of agriculturalists, saying "Trust us, we know what we're doing." This NDP government seems to be intent on telling us what's good for us, again. I say put the whole thing on hold for a year, study the problem, get agriculturalists to give input! After all, farmers and ranchers know their business and know how to keep it safe. Premier Notley should trust them! Alberta is the only province in the country without worker protections and safety regulation for people who work on farms. But I have yet to hear a convincing argument as to why that unique exception makes Alberta the smartest province rather than the laggard! After looking over the text of Bill 6, it looks like the Province plans to just delete the farm exceptions to the WCB and OHS legislation already in place. That's about it. 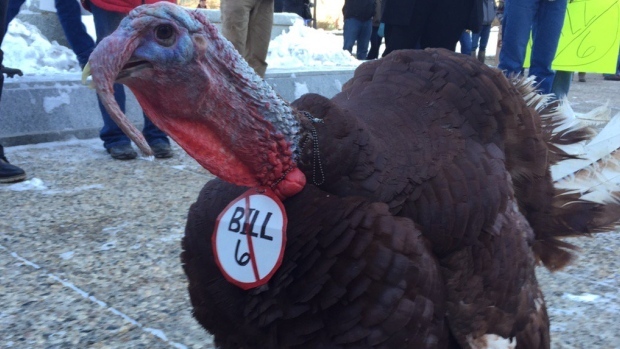 There's actually not much to Bill 6. So instead of adding new rules, they've merely stipulated that the existing rules and oversight given to every other business in the province (including family-owned small businesses) now extend to farms as well. It was pure perception that caused the uproar. Alberta's farmers and ranchers are no slouches! They want to be informed about things that affect them directly. A lesson learned by our new provincial government the hard way! I think the negative spin goes both ways. The NDP government's PR and communications skill has been sorely lacking, and I'd guess that's due in no small part to a lack of experience. They're hiring some talent that should (should) help with that; Anne McGrath, former NDP National Director and Chief of Staff for Jack Layton, was (supposedly) hired barely a week ago to work for Notley's government. People like her should help make a difference, but it's still a steep curve for the lot of them in the NDP. At the same time, though, anti-NDP folks and the Wildrose have added more than a little misinformation and misrepresentation into the mix. That's not helping get things done right, either -- but it does whip people up and bring them out to protest! I really wish this blog would keep out hot political topics and your view on politics so that people can make up their on minds. I find when you do things like this people will prejudge a party negative and not give them a chance. There is good and bad in every party whether that is left or right. Nothing is perfect. Please let ppl educate themselves and decide for themselves. If they really care about our government then they will educate themselves and not just vote left or right bc that is the way mom and dad did. As some people like to say, it's a free country. I don't agree with all of my Dad's opinions, either, but he's certainly allowed to share them on his own blog. That's what a blog is for!